1.) What color metal do you want for the Medium disc? 3.) 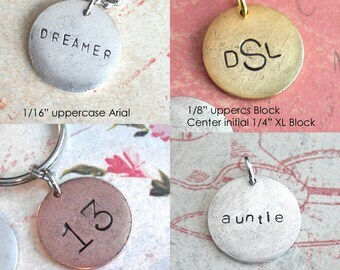 What dangle charm do you want on it? 1.) All metals are plated. Silver, copper or gold plate are available for the medium disc. 1/16th inch (uppercase or lowercase): 7 maximum, straight across. 12 curved. 1/8th inch (uppercase): 5 maximum, straight across. 8 curved. 1/4th inch (XL uppercase): 2 across. 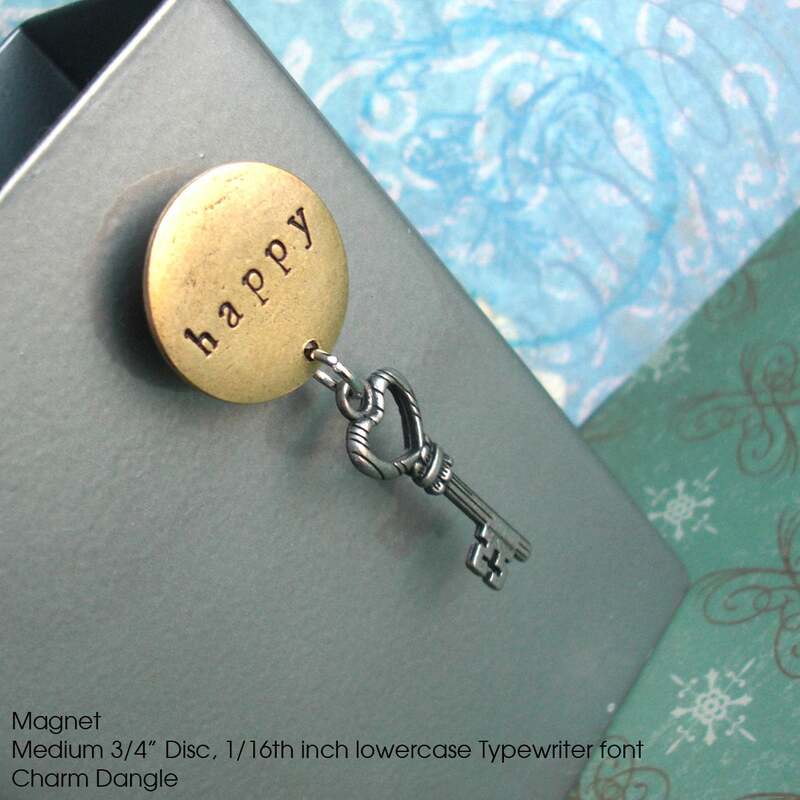 To add words to your charm - add 1 unit of "stamping fee" for each extra word. Add them to your cart along with this magnet listing. 3.) Dangle charm choices are shown in the last photo. Jump ring color will vary. Key styles will vary! Tell me your color choices if you select crystals. Pearls are freshwater, vary in size, and may have ridges in them. Tell me what color and what you want stamped if you are choosing the mini disc. 4.) Choose a magnet or lapel pin, tell me during checkout. I first score the surfaces, then apply a long-lasting jeweler's glue to affix the pieces. If you prefer a metal clutch or rubber catch for your lapel pin, tell me during checkout. 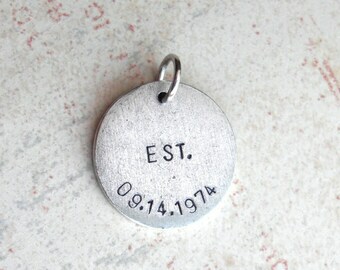 PLEASE NOTE: All charms are hand-stamped by me! 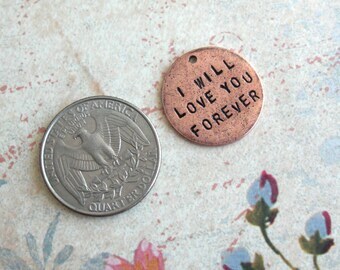 The plating finish, my stamping, the antiquing, it will all vary from the photos and from piece to piece. These are unique items. Just like you! 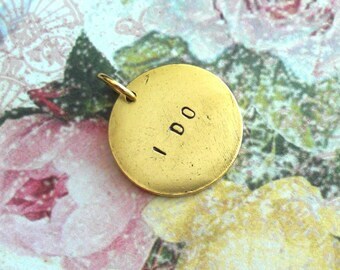 Add a gift box for $1.50 ~ locate the listing in my "charms" section. ° More quantities are available. 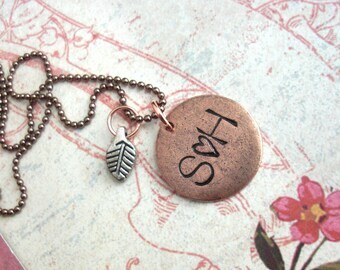 Check out my other listings in the "charms" section to add a crystal or pearl or chain to your order.